With the changes in legislation for retaining and destroying of medical records, it’s become an important task to ensure that your practice has a plan in place, and that your employees understand what to do with and how to store this very private information. To ensure that your practice is protected, you need to be sure that your entire office is following proper procedures that are outlined in your document retention plan. This is where this post can really help you. It clearly defines the life cycle of records retention, various regulations and requirements, and recommendations for medical records. 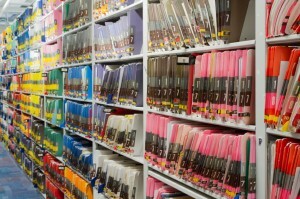 Click here to learn more about the retention and destruction of health information. We can get you a quote for all of the medical records shredding you need within minutes. To get started, fill out the form on the right, or give us a call at (800) 747-3365.